NINETY PERCENT OF THE BIG FISH ARE ALREADY GONE!! 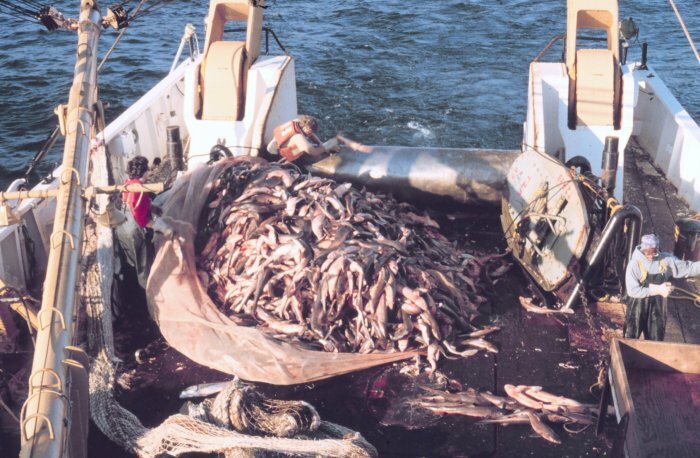 Depending on which experts you ask, between 70% and 80% of the world’s fish have already been overfished. What does that mean? It means the fish can’t reproduce as fast as we’re removing them, so their numbers are in decline. For the big predatory fish, the situation is really grim. Only 10% of the world’s large predators are left! Ninety percent of big fish such as tuna, shark, swordfish, halibut and cod are gone! If things keep going the way they are going, there will be no more food in the sea by 2050. ← Giant Squid, Amazing, Elusive. . . and REAL!